The days of asking, “Do you have a website?” are long gone. Now the question is, “What’s your website address?” It doesn’t matter if your business is in Fort Wayne or Fort Worth; having a custom website is just as important as having a business card. The good news is that along with this need comes a tool to make building and maintaining your custom website easier than ever. Once upon a time you needed a website developer to build your website using expensive, hard to learn, software. You also had to pay your website designer to make any and all edits to your website. Your only alternative was using a boxy template that may or may not work with your branding. Today, thanks to WordPress, you have a lot more options to choose from when it comes to building your business’ website. WordPress is one of the greatest tools for the online marketing of small businesses since the invention of e-mail. 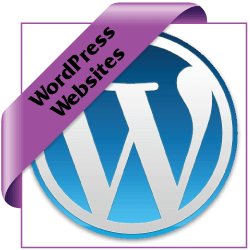 Gonzo Strategies does all of our website development in WordPress. While we can built your website the old fashioned way, over 95% of our clients are better suited to using the WordPress platform. Just like all of our other services, we start by developing a strategy for your website. Too often, businesses jump straight to the design phase without thinking through the site. This is a lot like trying to build a house without a blueprint. It usually results in a website that lacks the functionality you need, or just as bad, you build a site too big for your business. Website strategy to ensure your site will incorporate everything you need. Editing content you supply for marketing, branding, & SEO impact. Sizing, formatting, and tagging of your images. Setting up your domain, hosting, and WordPress installation. Customization of a premium WordPress theme to work with your branding. Connection to your social media accounts and other online marketing. Installation of plug-ins to help your search engine rankings. Training on the WordPress platform so you’ll know how to maintain your site. Gonzo Strategies also offers a list of add-on services to make your site more visible to search engines and work seamlessly with your other online marketing. If you just need help with your website content or graphic work, we can take care of that too. *Responsive design means that your WordPress theme will adjust and arrange itself to fit the device on which it’s viewed. As more and more people view the web on mobile devices this has become important than ever before.